It is therefore is a central location for people who wish to enjoy the beauty of both counties. 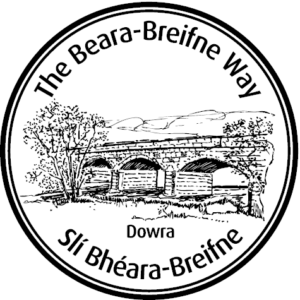 Dowra is also connected to many of the walking trails of both Cavan & Leitrim. Part of the Leitrim Way as well as the Cavan Way, both of which connect to the Ulster Way and to the historic Arigna Miners Way, Dowra is also part of The Kingfisher bikers trail and the Shannon Erne Drive. For those wishing to explore the local area there are numerous walks, which take visitors to locations such as the Court Tomb, the Sweat House, Kilbride Church and Corry Strand. On the Cavan Way you can visit the Shannon Pot, which is the source of the River Shannon which begins in Glangevlin. Visitors to the area can enjoy the beauty of our lakes, rivers and outstanding scenic views from the mountains overlooking Lough Allen. The area plays host to an annual Hill Walking Festival held in August, which is run by the neighbouring parish of Ballingalera in the beautiful Sliabh an Iarainn mountain’s that overlook Lough Allen. The festival runs for over a week and the celebrations flow over into the village of Dowra. It is a time of great fun and celebration for both visitors and natives alike! There are maps located at different points along the walks and brochures and available in local stores along the routes. It is also the first village on The River Shannon. 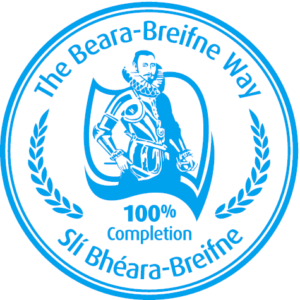 Dowra is part of the ancestral home of the McGoverns and forms a stage of the Beara-Breifne Way which is based on the historic march of O’Sullivan Beara in 1603.